The Pascal Visual Object Classes (VOC) challenge is a benchmark in visual object category recognition and detection, providing the vision and machine learning communities with a standard dataset of images and annotation, and standard evaluation procedures. Organised annually from 2005 to present, the challenge and its associated dataset has become accepted as the benchmark for object detection. This paper describes the dataset and evaluation procedure. We review the state-of-the-art in evaluated methods for both classification and detection, analyse whether the methods are statistically different, what they are learning from the images (e.g. the object or its context), and what the methods find easy or confuse. The paper concludes with lessons learnt in the three year history of the challenge, and proposes directions for future improvement and extension. Everingham, M., Zisserman, A., Williams, C. K. I., & Van Gool, L. (2006b). The PASCAL visual object classes challenge 2006 (VOC2006) results. http://pascal-network.org/challenges/VOC/voc2006/results.pdf. Everingham, M., Van Gool, L., Williams, C. K. I., Winn, J., & Zisserman, A. (2007). The PASCAL visual object classes challenge 2007 (VOC2007) Results. http://www.pascal-network.org/challenges/VOC/voc2007/index.html. Griffin, G., Holub, A., & Perona, P. (2007). Caltech-256 object category dataset (Technical Report 7694). California Institute of Technology. http://www.vision.caltech.edu/Image_Datasets/Caltech256/. Sivic, J., & Zisserman, A. (2003). Video Google: A text retrieval approach to object matching in videos. 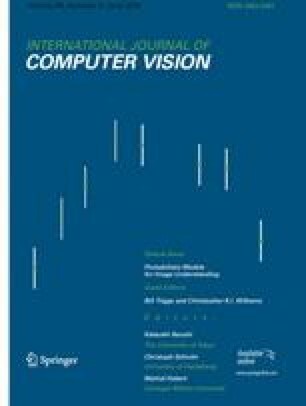 In Proceedings of the international conference on computer vision (Vol. 2, pp. 1470–1477). http://www.robots.ox.ac.uk/~vgg. Viitaniemi, V., & Laaksonen, J. (2008). Evaluation of techniques for image classification, object detection and object segmentation (Technical Report TKK-ICS-R2). Department of Information and Computer Science, Helsinki University of Technology. http://www.cis.hut.fi/projects/cbir/. Winn, J., & Everingham, M. (2007). The PASCAL visual object classes challenge 2007 (VOC2007) annotation guidelines. http://pascallin.ecs.soton.ac.uk/challenges/VOC/voc2007/guidelines.html. Yao, B., Yang, X., & Zhu, S. C. (2007). Introduction to a large scale general purpose ground truth dataset: methodology, annotation tool, and benchmarks. In Proceedings of the 6th international conference on energy minimization methods in computer vision and pattern recognition. http://www.imageparsing.com/.